Stay healthy and care for the environment: ride a bike! This eclectically decorated, striped bohemian bicycle coloring page calls for lots and lots of different colors. “Bicycle” is one of the ten pages in the Hippie Kitsch coloring book. Categories: Coloring Pages, Hand Drawn. Tags: book: Hippie Kitsch, Earth Day Coloring Pages, Hippie Coloring Pages. 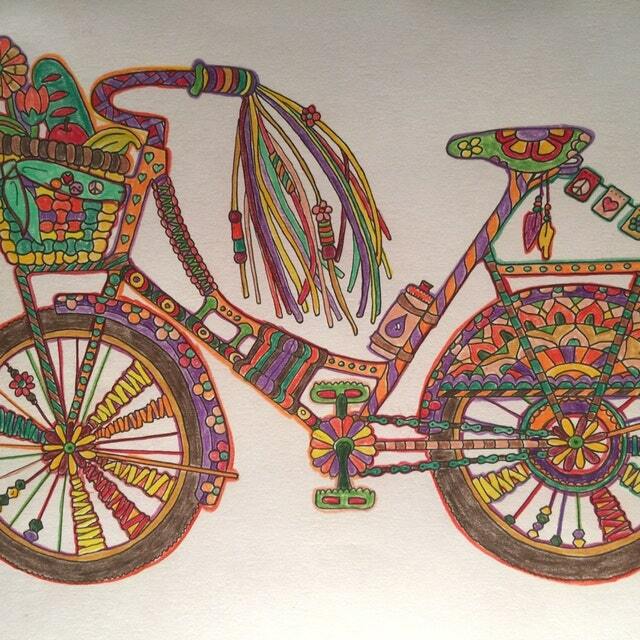 You can also find this Bicycle coloring page in the Candy Hippie Etsy shop.